*Sandra Fredman, 'Emerging from the Shadows: Substantive Equality and Article 14 of the European Convention on Human Rights', pp. 273-301. * Dinah Shelton, 'Significantly Disadvantaged? Shrinking Access to the European Court of Human Rights', pp. 303-322. * Saïla Ouald Chaib, 'Procedural Fairness as a Vehicle for Inclusion in the Freedom of Religion Jurisprudence of the Strasbourg Court', pp. 483-510. * Eleni Polymenopoulou, 'Does One Swallow Make a Spring? Artistic and Literary Freedom at the European Court of Human Rights', pp. 511-539. * Andrew Dyer, 'Irreducible Life Sentences: What Difference have the European Convention on Human Rights and the United Kingdom Human Rights Act Made? ', pp. 541-584. * Nikos Vogiatzis, The Admissibility Criterion under Article 35(3)(b) ECHR: A 'Significant Disadvantage' to Human Rights Protection? ', International and Comparative Law Quarterly, Vol. 65, Issue 01 (2016) pp 185-211. Over the last ten years, there have been numerous cases of ECHR-state party complicity in torture by foreign states. Some of these cases have been entirely extraterritorial – that is, the victim is never within the territory of the complicit state. Applying the orthodox rules of attribution in international law and the current understanding of the jurisdiction under Article 1 ECHR, these cases of extraterritorial complicity would seem not to lead to the responsibility of the complicit state under the Convention. In other words, the ECHR allows states to facilitate acts of torture abroad where they could not do so at home. This is an unprincipled gap in the protections provided by the Convention.This article argues (i) that this unprincipled gap may be overcome by re-imagining the rule in Soering as a preventive complicity rule and extending it to other forms of complicity in torture, and (ii) that such a re-imagination is supported by doctrine and principles deeply embedded in the case law of the European Court. An expansive interpretation of Article 1 ECHR to capture cases of state complicity in extraterritorial torture would be justified. The European Court of Human Rights (ECtHR) is a significant human rights tribunal. The European convention on Human rights (ECHR) is the only applicable instrument for the ECtHR and there is no explicit expression of older persons’ rights there .One of the key international instruments aimed at promoting the rights of older persons are “soft law”. Up to day, no study has attempted to explore the usage of “soft law” in cases brought before the ECtHR on issues concerning the rights of older persons. The question is to what extent is the ECtHR aware of the soft law that addresses rights of older persons? Does the wealth of soft law on the matter of older persons permeate the Court? Allegedly, these norms could be used by older persons or by the Court when they negotiate and determine the rights of older persons. A total of 1,503 judgments were delivered to older persons from the 12, 680 overall judgments at the period between January 1st 2000 and January 1st 2011 (11 years in total). 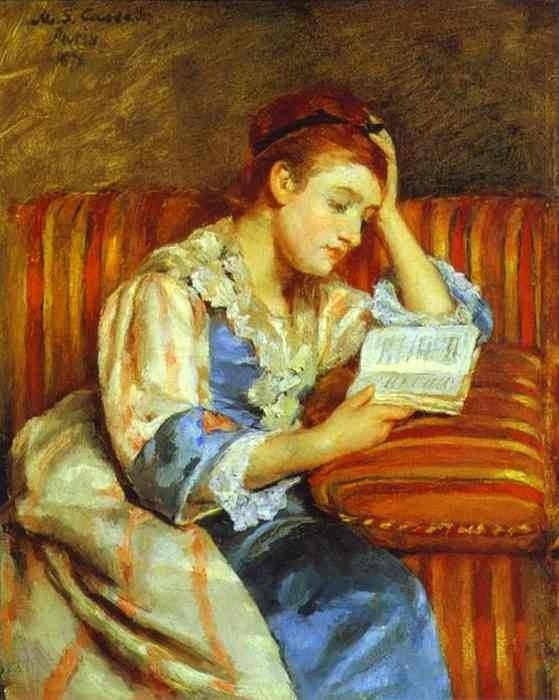 These 1,503 judgments constituted the “study population” and the database for this study. Basic descriptive analysis was performed on this population. Due to limited time and resources, we used stratified random sampling of 226 judgments, which were fully analyzed for this study. The study’s findings show that, with very high probability, no soft law legal Instruments that address older persons were mentioned in the ECtHR’s judgments and claims. As a rule, the court has made sparse use of soft law (not of older persons) in adjudicating cases that concern the older persons. When the judges do turn to soft law in those cases, it is for general topics rather than specific issues of aging or older person's rights. The study demonstrates the usefulness of a recommendation created by the Council of Europe itself such as the recommendation adopted on 2014 to promote the human rights of older persons. It is encouraging that the ECtHR is not blind to soft law, and it makes use of it. The effort required now is to increase awareness and transition to practical use of this law. The struggle over elder rights needs to include judicious entry to the Court. Success in using soft law before the ECtHR would constitute realization of the potential of soft law that has yet to be realized. 'In this study, Eman Hamdan examines the protection against refoulement under the European Convention on Human Rights and the UN Convention against Torture, with the aim to determine which of those Conventions affords better protection for international protection seekers. Hamdan explores the scope and content of the principle of non-refoulement under both Conventions and the application of the principle to the immigration control measures and the extraordinary rendition operations. 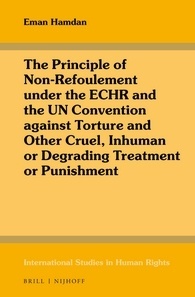 The author provides a comprehensive and comparative analysis of the case-law of both the European Court of Human Rights and the UN Committee against Torture on the procedural and substantive aspects of the principle of non-refoulement, in order to help practitioners to determine which of these human rights treaty bodies is more favorable for their specific non-refoulement case.